UPDATE: The plot thickens. A Polaris-adjacent source with knowledge of this engine dropped us a line with the following tasty information. The source states that Polaris has been sitting on this engine for a while now, as it was initially developed by Victory for use in a new Cross Country. In addition, the source states that Victory's internal names for the water-cooled mill were "Charger" and "Challenger". Interesting how "Challenger" pops up both there and in that Indian trademark, eh? The Source also states that the engine "screams", which sounds pretty awesome to us. Last week, something strange happened on the internet. Well, strange in a way that's relevant to our interests, at any rate. Some intrepid photographer got a couple shots of an Indian touring bike that doesn't exist. Not yet, at any rate. Soon thereafter, the photos started popping up on bike forums only to be taken down within hours at Indian's request. Interesting. We're not going to post the picture here, but if you went snooping around the internet I'm sure you could find it. The picture shows the forward third of a large-frame, fixed-fairing touring bike similar to Harley's Road Glide. That's pretty cool in and of itself, but the most interesting thing here is what looks to be a new, water-cooled engine powering the bike. Wait, what? That's right, looks like Indian has a new engine in the pipe along with the new mystery bike. 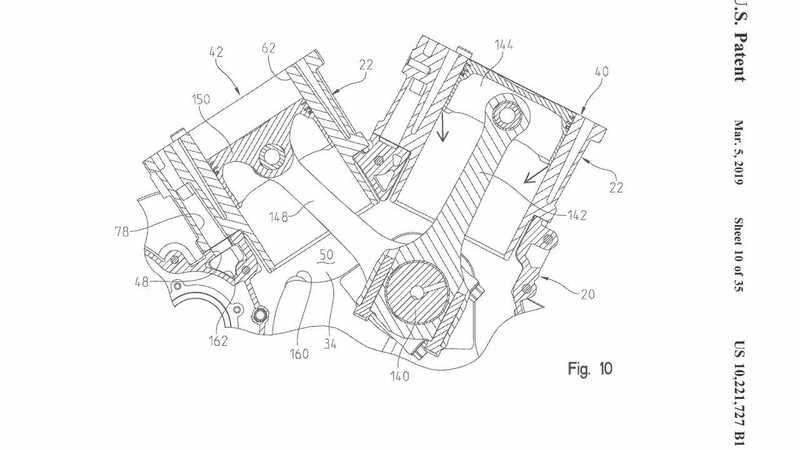 Our colleagues over at Motorcycle.com dug around and found a patent for a water-cooled Indian mill that Polaris filed back in 2017. 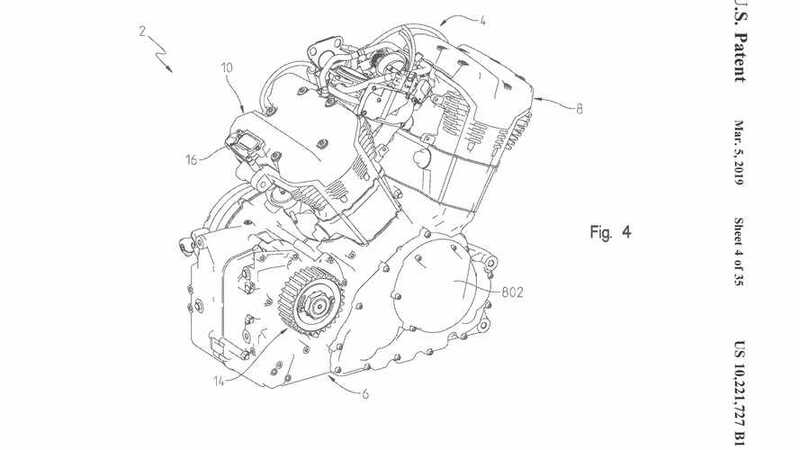 According to Motorcycle.com, that patent was approved by the U.S. Patent and Trademark Office in March of 2019. Motorcycle.com also reported that, thanks to top men on the inside, the magazine has some specs for this new wundermill. Apparently, the new engine is a SOHC, 60-degree, water-cooled V-twin that displaces 108 cubic inches (1,770 ccs) with a claimed output of 120 horsepower. Sounds pretty beefy despite being slightly smaller than the current air-cooled Thunder Stroke engine that Indian currently uses. Motorcycle.com's insider also claimed that the fixed-fairing test mule in that spy shot is somehow associated with the name Raptor. If you've been paying attention, that's not one of the new names—Challenger, Raven, Renegade—we've seen Indian trademark recently. We know this is a lot of hearsay and rumor mongering and baseless speculation, but it's all pretty fascinating nonetheless. With ever tightening emissions standards (hey there, Euro 5!) and a drive to beef up its presence in overseas markets, it makes total sense for Indian to start selling water-cooled bikes. Will this new engine replace the tried and true Thunder Stroke? Is this new mystery mill the death knell of air-cooled Indians? Who knows? What we do know is that we like what we see of that test mule and we're ready to ride it. So, you know, give us a call, Indian.